You have a hot lead that needs immediate attention, and you called to make sure they are guided through the sales process successfully. But what happens to your cold leads? What do you do with them? Cold leads, as you might know already, are those who aren’t ready to buy yet. They are also those who have been receiving emails from you but haven’t opened or engaged with them yet. Cold leads are a natural occurrence in every sales pipeline. However, you have to identify which of your leads are hot, cold, or lukewarm. The best way to identify whether your lead is hot or cold is to score them. You can do this by creating a point scale based on your needs. Assign points to every aspect of a prospective customer. Our buyer persona will come in handy at this point. When assigning points to your customers, use any past information you have to help you make informed decisions. For example, if you think the sales department of a large company is more likely to become a customer, give them a higher point in their sales titles and company size. Let’s say that a customer service representative gets 5 points because they are less likely to be interested in your service, while a sales manager gets 10 points because he has the buying decision capabilities. Furthermore, a company with 50+ employees gets 10 points while a company with less than 20 people gets 5 points because they probably will not need the services you offer. By scoring your leads, you get to target your messaging based on how hot your leads are. Just make sure that you have collected the right information so you can score your leads accurately. If you know that a particular demographic is interested in your services/products or they are more likely to purchase them, you can give them higher points making those leads hotter. Here’s how to Capture More B2B Sales Leads with Multi-Channel Marketing. However, specific leads are ice-cold. What do you do with them? A freezing lead does not necessarily mean it’s a hopeless situation. In fact, there are a number of ways how to revive them and bring back the heat. Speaking of classifying leads, this resource can help you get started on using a predictive lead scoring system for ranking and classifying leads. If you noticed that a group of leads hadn’t opened any emails you sent, don’t abandon them. Instead, group them and craft an email designed to target them. Come up with a subject line that will pique their interest. Hi there. We noticed that you hadn’t opened the emails we sent you. Let us help you find what you’re looking for. You can talk with any of our agents so they can answer your questions. If you’re not interested, click here to unsubscribe. It’s okay if someone opts out of your email list because there’s no point in sending one to those who don’t want them. If the leads you had interacted before lost interest and had gone dark, you can revive their interest by sending them something new about your company. It could be a new product/service, new pricing, or a new feature that will enhance their experience. Don’t miss the opportunity and tell them. Headline anything new about your company – Check our NEW pricing or NEW product features to increase team productivity. Be creative to get those cold leads hot and excited again. If a cold lead can still be revived, find ways how to re-engage them. When it comes to re-engagement, nothing beats gifts. Those gifts could either be a free consultation, an e-book, a discount, or a coupon code – anything that would add value to their business and at the same time, warm them up a little. If a company sees that there’s something of value you can provide them, they will want to build a relationship with you. Calling or sending emails to a prospect, again and again, can get annoying. It can even tarnish your sender reputation. People who don’t open your emails but haven’t unsubscribed might get frustrated and mark you as SPAM. Instead of doing that, try different methods of how to engage these cold leads. For example, you can try a popup ad on your site targeting those who still visit but don’t open their emails. Don’t let your cold leads freeze to death, warm them up! Cold leads don’t have to die. You can still revive them by keeping in touch with them regularly even if they don’t decide to buy right away. It’s also necessary to have a team to help you warm these leads and nurture them until they make a decision. Most of all, show those cold leads that you are building a relationship with them by giving them something of value for their businesses. According to statistics 79 percent of marketing leads never convert to sales. That figure reveals an even sadder reality: 65 percent of B2B marketers haven’t established lead nurturing. Whatever the reason companies have for not focusing on lead nurturing is a path to self-destruction. With every minute of neglect, the clock slowly ticks until the mechanism finally explodes and destroys everything. The statistics are shocking given the fact that even multi-billion dollar companies place so much premium on lead nurturing. Take Microsoft, for example; the tech giant bought LinkedIn for a whopping $26.2 billion, the most significant acquisition in its history. Why would they pay that much? For what? LinkedIn gives them access to millions of data of the audience they want to become their customers. That data will provide them with an idea what each target wants, enabling them to create a personalized strategy to win their prospects over. That is a clear and perfect example of lead nurturing. It is so important that another study showed the significant difference it has in companies that have made this a part of their conversion process. Annuitas Group revealed that nurtured leads purchase 47% more than the non-nurtured ones. A lot of B2B marketers make the wrong assumption that acquiring a large percentage of leads give them a bigger fighting chance of increasing the sales. If that is the case, then a lot of companies could have become multi-million dollar companies just because of the leads they have, but such is not the case. Instead, you have to build a relationship with the customer, know what they want, and gain their trust. Once you get to know them, it would be easier to deliver something they want based on their individual needs. Thus, their conversion is based on how well you can give an exact solution to their pain and also the steps that lead them toward that path. As you lead them along, you should be careful of pitfalls that could jeopardize that conversion journey. We have prepared some tips how you can avoid those mistakes as you nurture your leads. Consumers are wiser and more sensitive today than 20 years ago. Thanks to a vast amount of information that is readily available on the Internet. Now, consumers can easily spot whether you want to make a quick buck or there to bring a solution to a pain point. So how do you show you value your leads? By providing them with valuable content for free, something that makes their lives better or solves their pain points. When your leads see that you are concerned about them, they will trust you, and it will be easier to convert them and make the purchase. Since you are the ones who lead them on a journey, you have to know your leads so you can provide what they specifically want to make the journey comfortable, convenient, and enjoyable. What are the touch points that your prospects have to go through? That means you have to provide content that is relevant in every point of their journey. Being consistent means following your schedule. If you release new content every Tuesday and Thursday, you have to make sure you do so. If you don’t, you send a negative message that you don’t care about your business, and that is bad news for your business. If your target leads see you don’t care, why should they care as well? Staying on schedule also ‘trains’ your leads to perform actions that are connected to multiple touchpoints. When you get your leads to do this, you are also getting their “Yes” that can eventually lead them to purchase. Research showed that leads who were nurtured through a drip marketing funnel are likely to spend 47 percent more on purchases than those who went through other channels. More so, they increase the chance of client re-engagement and have higher open rates. Master lead management in 6 easy lessons delivered straight to your inbox! Take our FREE Lead Management Bootcamp today. Lead nurturing is not a standalone process. Instead, it compliments with other marketing strategies, such as email marketing and landing pages. These elements work harmoniously in a marketing ecosystem that ultimately leads to conversion. The most important, however, is automating the marketing process. Using software or tool. You create and send trigger information based on the specific client’s behavior. Through this, the target receives the information at the most appropriate time that brings them closer to the sale. We’d love to hear about your lead nurturing practices and tactics. Ready to generate leads that you can nurture into closes? The sales pipeline is a set of strategies and stages which organize the movement of leads from start to finish. It guides businesses through the confusing maze of the buyer’s journey as it keeps sales and marketing aligned, and scales revenue growth. As much as it is important, the B2B pipeline is as complex as the buyer’s journey because there’s no one-size-fits-all strategy. In other words, there are 101 ways how to do it depending on the needs of each business. But no matter what strategy your company is using, the sales pipeline has three common stages: lead nurturing, lead qualification, and closed deal. These stages begin right after you stimulate and capture the interest of your target audience during the lead generation process via email, events, or content. Companies who have a lead nurturing program acquires more sales-ready lead but spends less than those who do not have. This stage is where you build trust that leads to conversion. It’s like taking the perfect catch on a date. Since you’ve already convinced that person to go out with you, you no longer need to hard sell or act aggressively. Instead, you have to smoothly and seamlessly guide your ‘date’ to finally say ‘YES’ to you. Like a man trying to win a woman, you have to be where your prospects are, ready to answer their questions. At this point, it will be to your advantage if you focus more on the potential impact of your solutions rather than hard-selling your product or service. Remember – prospects would prefer to understand the results than the process. On this stage, you get to decide whether the prospect is a sales qualified lead (SQL) or a marketing qualified lead (MQL). The two are almost similar because they are both ‘hot’ leads. However, an MQL looks like the perfect lead, someone who’s more open to hearing the solution you’re offering. Sales qualified leads, on the other hand, are those who are ready for to have a conversation. They have raised their hands and prepared to go to the next level. A dedicated account manager is assigned to these leads to qualify them further. This phase is very critical, and extreme care and caution are necessary. 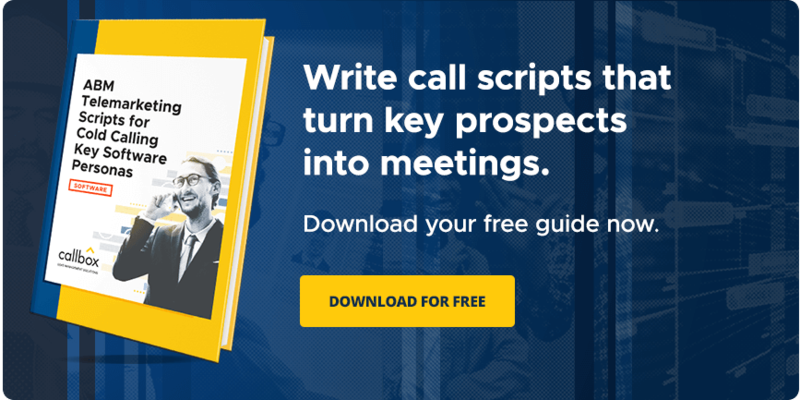 Studies say that 61 percent of B2B marketers send leads to sales but only 27 percent of B2B leads are sales-ready, and 13 percent convert into opportunities. You don’t want to lose that opportunity. Therefore, it will significantly benefit you if you try to take time understanding the business environment of your target and understand the pain points they are going through. You can use those problems to show them how your service or product can offer a resolution. If your prospect sees your product/service can be a solution to their pain, you can close the deal. If, on the other hand, they cannot, you will be able to weed that prospect out. If all goes well, the leads make a purchase decision and become a revenue. But here’s the sobering truth: out of the 13 percent opportunities, only 6 percent will convert to deals. That means companies lose 94% of their sales opportunities. The even sadder truth is that 1 out of 4 marketers do not know their conversion rates. If you want to create a successful sales pipeline, the first step is to understand the buying behavior of your customers. Here, you will be able to determine how many stages does it take before they come to a buying decision. Each stage is a milestone with every completion determined by an appropriate verifiable outcome for each step. This valid outcome tells you whether you are in alignment with the buyer. Let’s say your customer undergoes five stages in their buying process: develop a business strategy > determine their needs > evaluate any alternatives > choose a solution and assess the risks > resolve issues and finalize the contract. To align yourself with the buyer, you also need to have selling stages that correspond to theirs. Your selling stages should be: create an opportunity > qualify a sponsor > create a power sponsor > prove your capabilities > negotiate and close the deal. Knowing how long you have to spend for each stage helps you understand how much effort you have to make for each step. As leads become opportunities, and opportunities go from stage to stage, they get closer to the buying decision and thus, have a higher likelihood of becoming revenues. To represent your likelihood of winning, it helps if you assign a yield probability for each stage. The above shows the sales journey of your customer as well as some helpful tips to make the transition from stage to stage smooth. However, your relationship with your customer does not end with the sales pipeline. In fact, B2B companies can increase their ROI after the sale by regularly engaging their customers and adding value to their businesses. So you finally have leads flowing into your pipeline. Now what? Which leads do you contact first? Should you reach out via email or phone call? How many times should you contact a prospect? When should you place a call or send an email? If a prospect does X, should you do Y or Z? What do you do next? If you haven’t yet fully answered all these questions or aren’t very sure of your answers, then chances are you need to develop a solid sales cadence for your sales team (or your current one needs some refining). A good sales cadence brings structure and order in how reps engage leads, improving productivity and performance. This post helps you build a winning sales cadence by taking a look at examples that have already been shown to work. The blog entry then draws lessons from each of these cases and provides practical tips to put these ideas into action within your own lead generation and sales process. To make sure we’re on the same page, let’s first lay out some sales cadence preliminaries: what it exactly is, why you need one, and what other things to have on hand. A sales cadence is simply a timeline of sales activities and methods reps follow to engage leads. For example, if one of the starting points in your sales conversion funnel involves a lead filling out a form on your site, the steps you take in order to contact that prospect and get him to agree to a face-to-face meeting make up your sales cadence. In this case, the sales cadence tells you when and how to contact the lead after completing the form (e.g., email on day 1, call on day 2, send a follow-up message on day 3, etc.). Find out how you can generate leads for your business. There are a few things you need to have on hand for a sales cadence to work as advertised. Many experts believe that a modern sales cadence requires at least three channels (emails, phone calls, and social media) to really make an impact. Also, most sources agree that it takes 6 to 13 touches before you can generate a valid lead. Finally, you need a tool to monitor all of these activities, and that’s where a CRM platform comes in handy. Sales cadences differ from one type of sales process to the next, but the basic idea remains the same: consistent, sequential touches. Complex sales processes often involve a lot of touch points and a longer time period for nurturing prospects (sometimes several months), while transactional sales cycles require fewer touches done over a period of days or weeks. If you’re looking to create your own sales cadence (or looking to tweak your current one), there’s plenty of ideas to borrow from the following proven examples. Our first sales cadence example comes to us from Sales Hub CEO Max Altschuler. This is a widely-cited sales cadence and works great as a starting reference. Brandon Huang, an SDR at Yotpo, shares a 22-day sales cadence idea he says helps him produce consistent results. A sales cadence helps your team navigate the often-choppy waters of revenue generation. It keeps your reps’ momentum more consistent and their performance more measurable. With these lessons and tips, it’s easier to develop or optimize your own sales cadence. Need a boost in your sales and revenue? Learn how we generate qualified sales leads for you! Are you looking for ways to re-activate the interest of your old customers or prospects to increase your sales and revenue? The lead nurturing strategies on how to deal with old customers on your pipeline is important in winning them back and convincing them to purchase from your company again. According to peoplepulse.com, 50% of Marketing Managers and 30% of Sales Managers cannot identify their company’s percentage of annual customer loss. Those who thought they knew their firm’s defection rates believed that it averaged about 7-8% per year. However, research shows that the average firm loses is between 20 to 40% of its customers per year. So how do we keep track of our old leads and rekindle our relationship with them? With the help of our lead nurturing tool, we keep them the in touch and get their attention constantly. By creating a scheme of actions in following up the prospects, we were able to reach out to them again. The period of time as to when to connect with them again varies. And only you can determine the best cycle to re-activate them for your company. For Callbox, we usually give 1 month to reach out after losing touch with your customers. Too much of marketing exposure through email, calling and social media to your customers may turn them off. Of course, we don’t want to flood their inbox with email which will make them decide to delete our email or block us permanently. Here’s how you can re-activate their interest with your company and encourage them to become active again. Many are saying that reactivating customers through email is not enough. However, sending emails can be effective in encouraging engagement from lapsed customers. Here are some tips on how to win back previously interested customers via email. Tip 1: Use “We Miss You” in your subject line to make them feel important. Tip 2: Schedule sending multiple but short and engaging emails showing that you care for winning them back. You can schedule every month for the next 3 months. But never re-engage later than 6 months. Tip 3: Make it more personal to build connection with your customers again and amplify your brand. Here’s an example of the template that we use when sending out follow up emails to lapsed customers. Use linkedIn, facebook or Twitter, etc to reconnect with previously interested customers. However, be extra careful when reconnecting with them as reactivating them through social media can be inappropriate. Here’s how to do it the right way. Tip 1: Find out what they want when they first expressed their interest to your company. Social networking sites analytics will surely give you an idea of your audience top interest. Below is a screenshot of my twitter analytics. Tip 2: Use the things they’re interested in when they first expressed interest with our company such as the products or services they inquire at that time. Update them by posting about it in social media or share your recent case studies with solid facts and statistics. Remind them of what they’re interested in and entice them by creating quality content, even better if you could craft content related to their industry and try posting them on your website. You can also send them content via email and put a CTA (call to action) to direct them back to your website. Customers come and go regardless what business you’re into. There are several ways on how to re-activate lapsed customers. Right timing in delivering the right message is the key. Reconnecting with them through multiple marketing channels will help you win them back in no time. Don’t have time to reach out to your old leads? Let the expert do it for you! “A man is never too old to learn” and so is a Panda. Po, a panda and a kung fu student, had to fulfill a challenging task for his retiring kung fu master Shifu, of becoming the next kung fu teacher himself in the recent blockbuster Kung Fu Panda movie. Po’s task wasn’t easy like he thought it was and made him doubt on his capabilities. But with the help of his biological father Li, and the guidance of the Furious Five , Po took the courage to eagerly accept the challenge to learn and improve his kung fu skills and later on was able to teach the other pandas using their everyday activities in the village as their assets. Capping these positivities was resolving himself on the role assigned to him as the Dragon Warrior who embodies the yin-yang, and to fight Kai, the traitor who held other kung fu masters captive by taking all their chi. He knew that fighting Kai wasn’t as enjoying as eating his fave dimsum but Po was eager to fight and save the captives so he strategized the fight by using his Wuxi finger hold to transported Kai and himself to the beyond. With the use of his chi he was able to create a giant dragon figure of himself to battle and finally destroyed Kai. Like Po who courageously nurtured and mastered his kung fu skills and used his chi properly to trample Kai, we can learn and master our prospecting skills and tactically use resources like the automation and nurture tool to battle against slow poke follow ups and unqualified leads by nurturing them until they’ve become fully qualified and sales-ready. Approach: Using qualitative and quantitative data in your presentation will work for this prospect type. Approach: Active listening and be in control of the conversation. Confidence – exude confidence when pitching. So master and understand how your product works and its benefits to the prospect. Customize – always place yourself in the prospect’s shoes by acknowledging his opinions and remarks. Some factors you may need to consider are time, budget, need and authority of the prospect to either fully qualify the lead or properly nurture it for future deals. Consistency – give out accurate facts and data as this will keep you on track during the conversation. The prospect might ask you the same question twice so it’s best to have consistent answers, otherwise he would not believe you at all. If you got all these mastered as one package you will definitely gain the prospect’s trust. Ask probing questions that will uncover important facts about them and how they do business. This will give you a concrete picture of your prospects’ profiles and will get to know their buying behaviors. Take note of all the answers or remarks you will hear from the prospect. This will help you create a strategy that will ensure a continuous communication with them and be able to synchronize your activities during the nurture period. In the 2010 Gleanster Research study showed that as many as 50% of qualified leads are not ready to buy. So what do you do with these not-sales-ready leads? Well no other fitting answer to that question but NURTURE them until they are sales-ready with the use of the automation and nurture tools. Engage and nurture prospects through custom emails sent via the automation tool. Track all customer touch points like website visit, links clicked and sent forms, which also means get into multi-channel marketing bandwagon. Check out our lead nuture tool here! Qualified and sales-ready leads do not come in handy at all times. Be ready to battle with unqualified leads by mastering the skills on profiling the prospect, giving and taking specific and accurate information and utilizing time and tools. Po didn’t go out and battle Kai unarmed – he took time to master his kung fu skills, nurture his fellow pandas by teaching them how to fight, and used his chi to become big and powerful which defeated Kai and saved the captives. Do you know that telemarketing is an effective strategy for lead nurturing? Learn how..
Watch our Callbox lead nurture tool integrated with Pipeline CRM! Recently, marketers say that their top priority is to set up an effective B2B lead generation campaign. With incessant digital advancements, they will find ample opportunities to market their products and services as well as fill their sales pipelines with qualified prospects. Some businesses want to engage as many B2B leads as possible. They usually subscribe to the idea that lead volume is much more important than value. At the end of the day, though, this idea would prove counterproductive. The results often entail a failure of covering up for marketing investments. Lead quality is in fact much more important. While you can feel happy generating a high amount of B2B leads, you will never ignore the fact that sales-ready prospects are the real drivers of revenue. Moreover, paying attention to lead quality significantly reduces your rejection rates, therefore professing better ROI projections. In this sense, marketers must also prioritize effective B2B lead management. An effective database takes into account the readiness of individual prospects. It thus gives you a better experience identifying decision-makers with high interests. Know the elements needed to have an effective B2B lead management! Setup an efficient scoring system. Lead nurturing should go hand-in-hand with your scoring system. You will need to find out if a certain prospect has all the necessary qualities that fit your criteria. Details such as industry, position and budget should be considered so as to filter out leads that profess little interest and activity. It is also important to adjust your scoring system based on market trends. Click here to download our lead socring guide! You will know if a prospect is willing to buy your solutions by its activity. If the prospect engages you constantly, the next step is to maintain the relationship up until the appointment setting phase. High activity means that your lead nurturing is effective. A sudden drop in activity on the other hand means that a prospect has lessened its expectations and that you will need to figure out a different approach. Vivien on Medium: Profit vs Quality: Who will Prevail? Low buyer interest does not mean that B2B prospects would not contract your services. It is probable that they have no need of you services at the moment. In this sense, you should not cross them off of your database just yet. Instead, give them new information on your products to foster an effective relationship. You may never know when they need you. Prioritizing these activities will definitely give value to each prospect engagement. Proficiency is needed though in maintaining a lead management system. And that is only something a B2B lead generation company can provide. Callbox Pipeline helps you manage leads and monitor campaigns. Get your leads nurtured until they are sales ready! Make sure you create good quality of business list before the campaign starts. Have regular data cleanup to check your database for errors and ensure that you have accurate information to drive your marketing campaign. Check out our customer profiling services! Each call is deemed to become a successful lead. Getting passed the gatekeeper and being able to speak with the decision maker, regardless of whatever transpires in the conversation, is a positive call. Each call attempt sets the primary goal to pitch – to get them interested about your product/services and get them to agree for an appointment. Building positive contacts takes occurs through the whole period of the campaign. In this scenario, the agent has spoken to the decision maker, but for some reasons, the target prospect declined a call or visit from our consultant. The agent sets another date and time to call the prospect back and sends the initial information. A high percentage of decision makers ask for reference materials before they would agree for a consultant’s touch base. These are prospects that are unsure of whether they exactly understood how your products and services would work for their business, or just simply want to see a comparison between their current set up and what you have to offer to them. Quite an irony it seems but yes, those prospects who said they are not interested, are considered to be positive contacts. The agent holds the chance that a need and interest will arise from To bag all the chances of converting as much as positive contacts into leads, the agent will counter the above mentioned scenarios with Follow Up calls after 24 – 48 hours, or at the prospects preferred timing, with exception to Not Interested for which callbacks are made after quite a period of time. Don’t give up yet, might as well review and analyze what could have gone wrong. Alongside these actions, the lead nurturing tool is active and works on the background to send ff up emails and alarms the agent for follow up calls. This lead nurturing tool will change the way you see marketing automation as it applies more humanly behavior when schemas are set well. Harvest time! The lead has grown to its full potential now. All important information was verified and the lead qualification has met all the campaign criteria. The prospect is interested to know more about your product/service that could be beneficial for their process improvement, and has agreed to a phone or office meeting with you. Moreover, at some point, pricing packages and purchase timeframe advances the discussion. Nurturing a Lead is a continuous process – daily profiling and building of positive contacts will definitely bring endless possibilities of productivity results. Have you watered the plants already? We get you leads, we nurture them and lead them into sales conversion. Guy in Steve Erwin garb: The journey of a B2B lead through the sales pipeline is often compared with the life cycle of a caterpillar into a beautiful monarch butterfly. Let’s see the similarities in action. First off, the production of eggs. Biological studies point out that weather conditions have a significant role in egg production among insects, especially monarch butterflies. Likewise, the quantity of generated B2B leads depends on market trends. Thus, marketers must determine certain opportunities to produce the most prospects. After a certain amount of time, the eggs hatch into voracious caterpillars. Their appetite impels them to eat heftily, as the nutrients they consume are significant for the next phase. In the same manner, B2B leads that have hatched into warm prospects express the same degree of hunger – in this case, for information. After a prolonged period of heavy eating, the caterpillars are ready to pupate. Each of them finds a place to settle in, forming chrysalises in which they develop mature parts. This process is similar to when prospects finally decide to engage you in isolated business appointments. After several patient months, the butterflies escape from their cocoons and set out to live as adults. It also takes the same amount of time and persistence before prospects develop a well-informed decision to hire you as their service provider. It can get tough along the way, but it’s worth seeing sales results as beautiful as a flock of monarch butterflies. The journey of a B2B lead entails a lot of processes. It is important to provide the necessary conditions and facilitate their journey towards maturity, which only a competent B2B lead generation company is capable of doing. Recent surveys suggest that B2B businesses lead quality over anything else. This is because that qualified B2B leads are more likely to transition to a sale. But prior to this however, marketers need to understand the intricate process of maintaining prospect interest, otherwise known as lead nurturing. A potential B2B partner first of all does not profess any inkling to buy your products and service. But how would you know? You won’t, mainly because you have not yet contacted the prospect. It is in this respect that lead nurturing complements lead generation in that it helps marketing with identifying and locating high-quality B2B leads. Information distribution is a typical component in this activity. But more than that, businesses should focus on creating strategies that cover both creation and distribution of marketing messages towards target audiences. Nurturing B2B leads is nothing without an effective content platform. And while you bombard individual prospects with blog articles that spin the same issues over and over again, trying out other content forms can do wonders. So, try to explore other possibilities like infographics and slide presentations. In marketing, it is essential to provide a steady stream of information to your prospects. Being repetitive however has its downside. Not many people are fond of receiving a email that contains the same message as the last. Frankly, it turns prospects away from you. Effective lead nurturing on the other hand entails a clear consideration of the prospect’s needs, particularly information that has not been discussed during previous contacts. Potential B2B buyers express interest by asking for more information about the products and services you sell. This is crucial in long-term relationships of a symbiotic nature. Hence, it is important to honor such relationship by giving them what they want so that they can return the favor in the form of a done deal. Going back to providing updated information, it is also vital to give only what the prospect cares the most. Offering propositions that are far from its target industry and its present needs regardless how well you present them is fruitless. A decision maker won’t engage you further if he or she sees you have nothing relevant to present to them. Sounds like a lot of work? Well, not exactly once you employ the services and competencies of a B2B lead generation firm. Nurturing Lead Generation Prospects – Is it worth the effort? Between the sunny skies that wrap around the success of closing a lead prospect into a sale or a contract, there is a cloud of uncertainty that can sometimes come inevitable in a typical lead generation funnel. When a lead is not “ripe” enough to progress into the next stage, there would be a need for “nurturing”. The question is: is it really a necessary step? To evaluate its worth, let’s first take a look at the good things it brings to the table. Of course, nurturing gets rid (or at least lessens the possibility) of instances when a lead has been brought to the far end of the funnel only to discover that it’s not qualified. The nurturing process allows the marketer to learn more about the prospect, his needs and his capacity to acquire services. Nurturing a prospect also gives an impression of service. How often does one encounter a business salesman who would spend considerable time and effort just to get to know a potential customer – one who is not yet committed to anything that the business would benefit from? This kind of image can help boost a brand in the awareness of the people who would turn out to be the target market. People like it when someone – especially a business – listens to them sincerely. On the other hand, skipping the nurturing part also has its perks. One is that it makes the lead generation process significantly faster, considering that all leads are practically treated the same way and a big chunk of them would eventually fall into the “unqualified” category. The nature of this approach is that when a lead gives even the slightest hint of interest, he will be given the same kind of attention as if he was truly interested in the product/service. Sales people would be talking more on the phones, yes, but it also heightens the probability of a good outcome, since the marketing aspect of it already relies on selling skills and not entirely on the definite need of a prospect. The polarizing debate on quality versus quantity will also resurface when choosing between different marketing approaches. In the end, it’s all about what you as a marketer care about more. If you think your business will prosper when taking time to understand your audience, learn how to nurture them. If your objective is to amass as many leads as possible and qualify them afterwards, then nurturing may not be suitable for you. Belinda Summers https://www.callboxinc.com/assets/callbox-logo.svg Belinda Summers2014-04-09 00:16:562015-02-10 02:11:47Nurturing Lead Generation Prospects – Is it worth the effort?